Americans love to spend—and it’s usually more than they can afford. With just two months into the New Year, many people are still working to recover from their bad spending habits over the holidays. Proper financial management is no easy task, and many people quickly become overwhelmed and frustrated when attempting to manage their money. 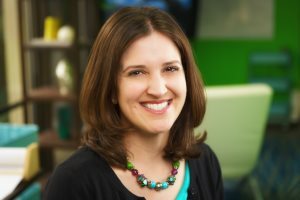 So, to help, Recruiter.com sat down with Intuit’s Finance Expert Holly Perez to gain insight and advice on the best practices for managing our dollars. Read on to discover what Perez had to say about the psychology behind spending, money management misconceptions and the importance of developing a plan for financial management success. 1. Why are so many people left facing a “financial hangover” in the New Year? We all get caught up in the spirit of giving. We’re buying presents. We’re dining out. We’re going to parties, but we’re not thinking about our budgets. At least not until January when the bills start rolling in and so does reality. So it really is a great time to get your money back in shape for 2014. 2. A Quicken study found that 23 percent of Americans typically spend more than they earn in a given year. Can you briefly explain the psychology behind spending? I think we don’t think about the implications of our spending. We’re so caught up in purchases for today and we aren’t saving for tomorrow. So kind of going back to that fiscal/financial hangover from the holidays, we’re so caught up in spending that we don’t think about what this means to our budget and our bottom line once we’re spending that money. 3. The New Year often brings resolutions of better money management and decreasing debt. Why is it important to develop a plan for successful finance management? It is so important to set financial goals and be honest with yourself. The average U.S. household has about $4,800 in credit card debt. And easy ways to pay that off are simply increasing your monthly payment or applying your tax refund. It’s critical to understand where your money is going and how you’re spending that money and making the right tradeoffs to make sure you have a good financial future. 4. You’ve developed a Fiscal Fitness Bootcamp to help improve finances. Can you briefly walk us through the six steps? So one is setting that financial goal. You need to pay off debt, look for ways to pay that off. Also use personal finance tools like Quicken or Mint – great ways to see all of your accounts in one place and better understand how and where you’re spending your money. And finally something we can all do, look for ways to curb your spending. This could be as simple as taking lunch to work, using coupons, buying generic versus name brands, even making that morning cup of coffee at home could put as much as $2,600 back in your pocket. Money that you can then use to pay down that credit card debt, start a college fund for your child or even start an emergency fund. So all simple tips to get your money back in shape for the new year. 5. What is the biggest misconception about properly managing finances? How can people overcome this? One misconception I find among consumers is that they don’t save for tomorrow. The 20-somethings often think, I don’t need to start my retirement plan until I’m older, but that’s totally not the case. It’s important to set aside money now for an emergency fund or a retirement fund. You don’t want to get blindsided by unemployment, a medical expense, or your car breaking down. So try to put a little bit of money aside to save for your future and don’t spend all of your money just focusing on today. We’ve got some money saving tips and trick at the mint.com blog to keep you fiscally fit all year long.